Who knew Spain was so close!? 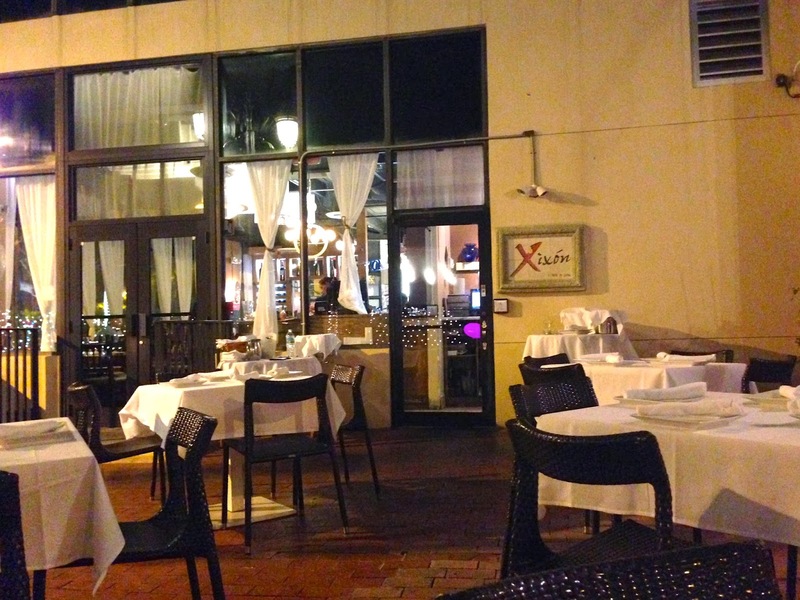 Xixon Cafe in Miami (Coral Way and 21st Avenue) is your ticket to a night out in Espana. 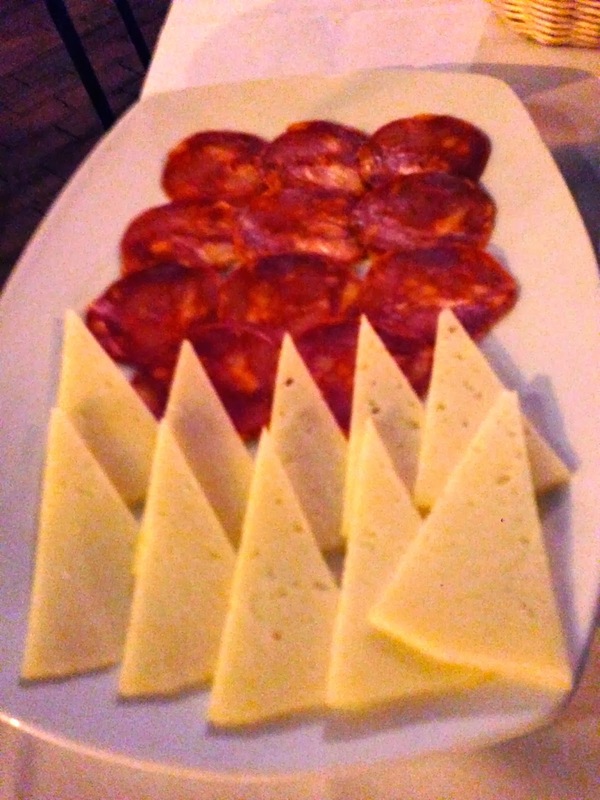 It’s my favorite place for authentic tapas and you can always count on having a good meal here; it’s very consistent. Xixon is located at the ground floor of a multi- purpose building with valet and street parking available- although valet is probably your best bet here. 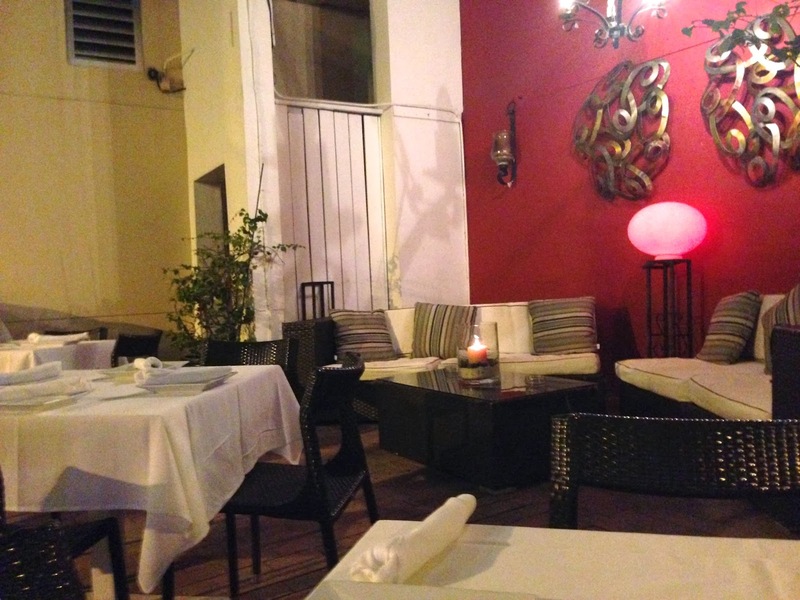 The restaurant features indoor and outdoor seating. It’s great for both large and small groups or an intimate party of two. Also, there’s a nice seating area indoors on the bottom level, the vinoteca, where you can view and pick out your wine bottle from their cellar. When you’re there make sure to check out their gourmet market as well to take some Spanish treats home with you. 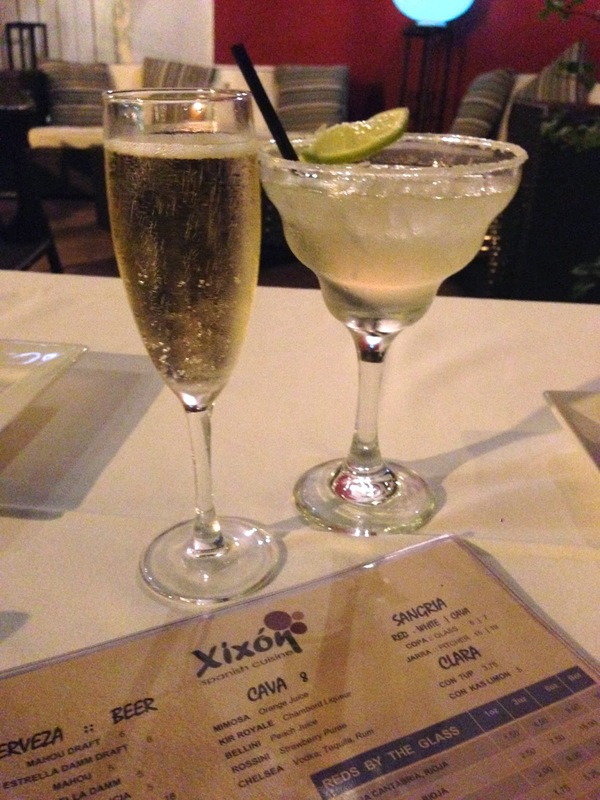 On this visit to Xixon, they were offering happy hour specials, so I was quick to get a glass of cava at half price and my other half ordered a margarita. This dish is one of my favorites at Xixon! It’s Heuvos Rotos con Jamon! 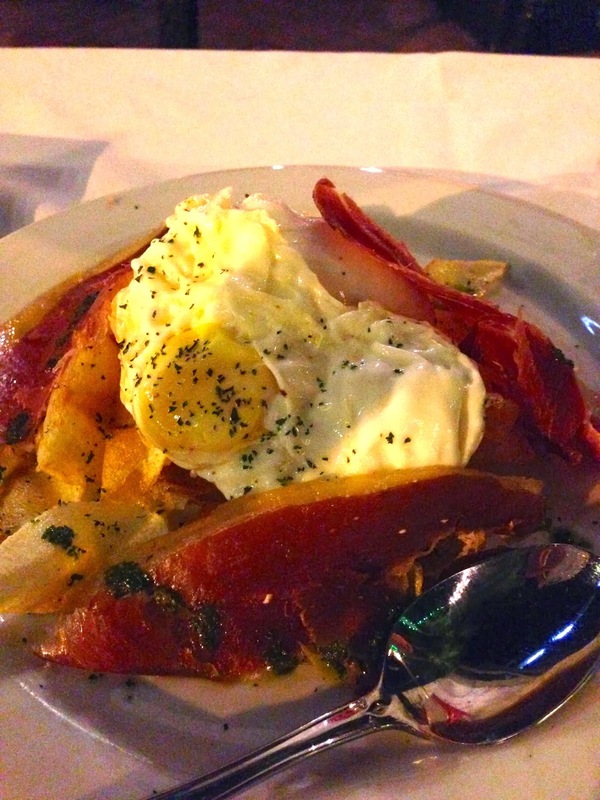 It encompasses all of my favorite things, eggs, chips, jamon serrano, and potatoes. This dish is a must!! 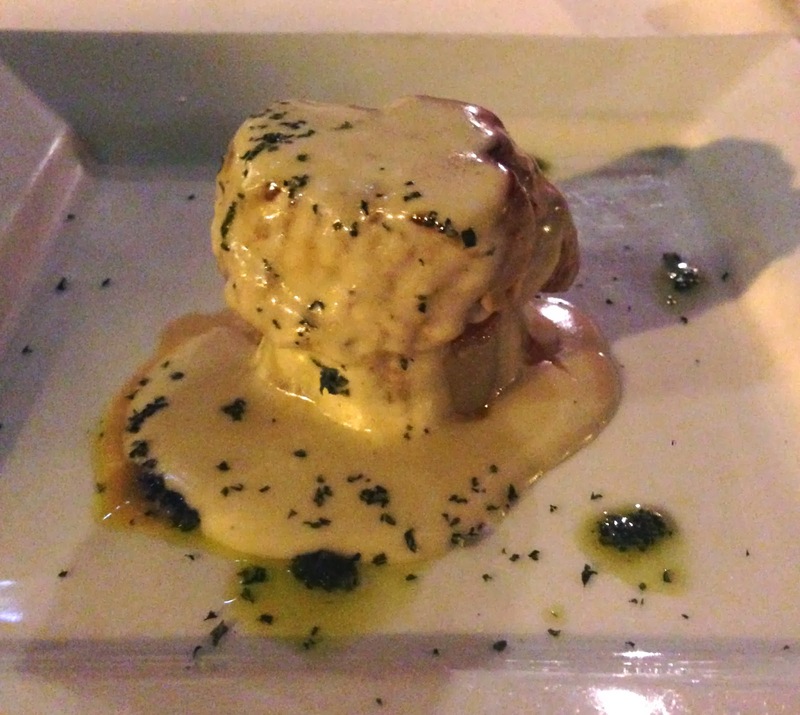 It’s a classic Spanish tapa. The magic happens when you break the egg yolk! 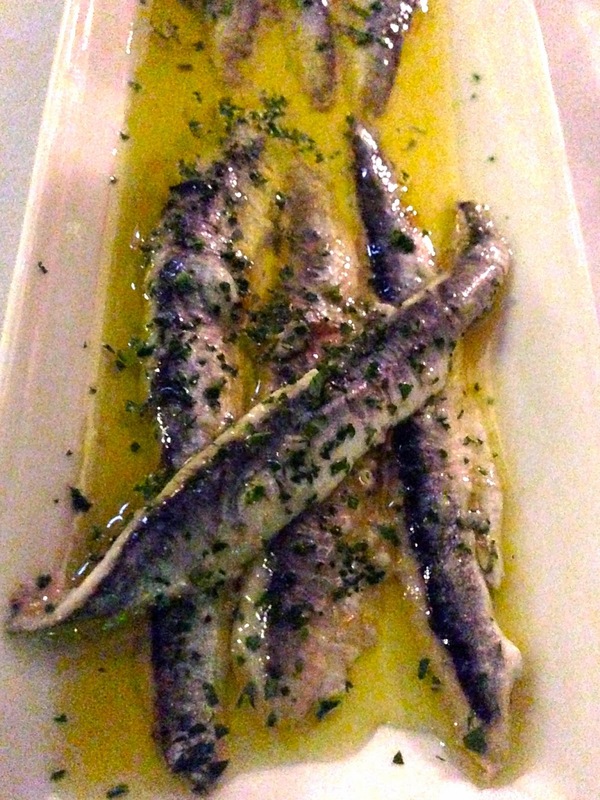 If you’re into anchovies you’ll love this dish! It’s simple but tastes great and I used the bread they brought to the table to dip in the sauce and eat with the anchovies. Yum! This is another winner! I order this time almost every time I go to Xixon. It’s seasoned well and the octopus is very light and tender. 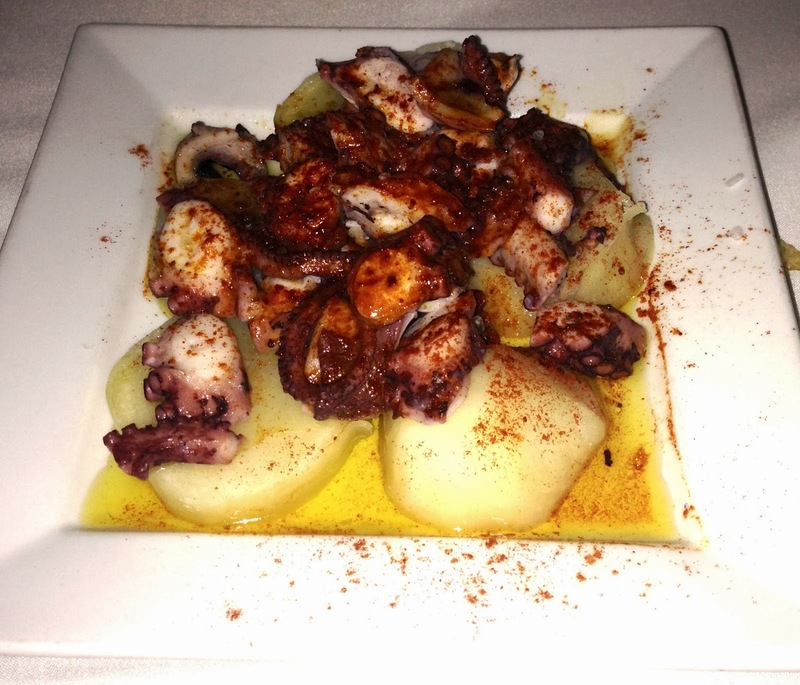 A classic dish at any Spanish restaurant! 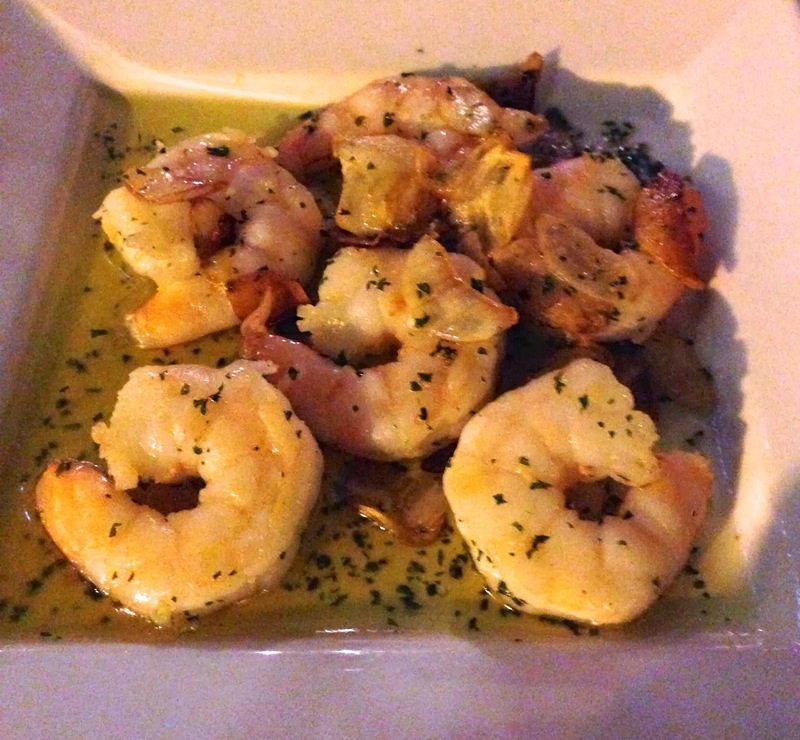 Sauteed shrimp in garlic. Now, this was a different dish and the first time I’ve ordered it here. 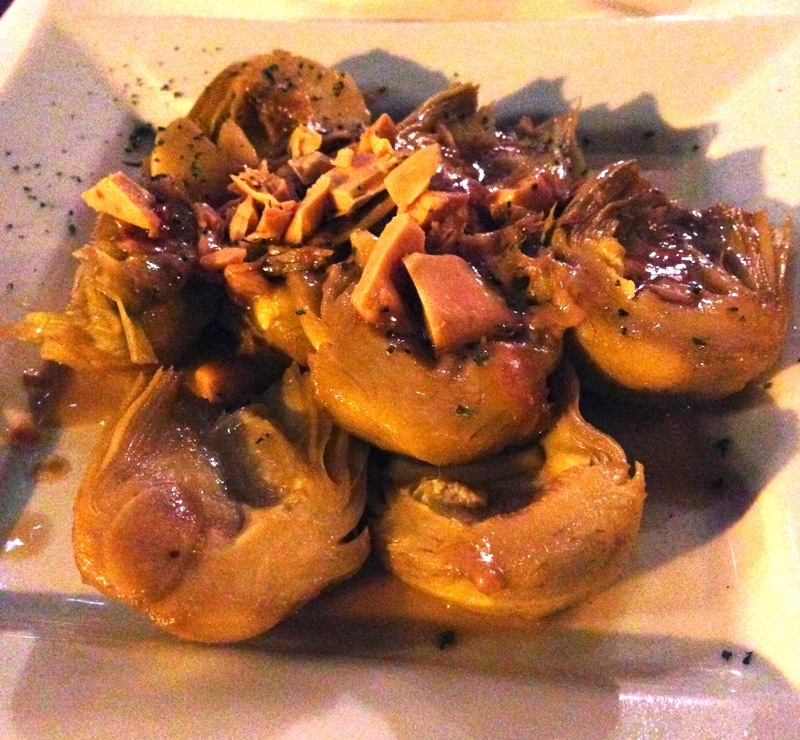 It’s sauteed artichokes in wine and foie gras. I know it sounds a little strange but we were pleasantly surprised. It was actually very good and unique; it’s worth a try if you’re still hungry! On a serious note, the sangria was just right. Unfortunately, I’ve been disappointed with the sangria I’ve had recently at other “Spanish” restaurants but this one was spot on. 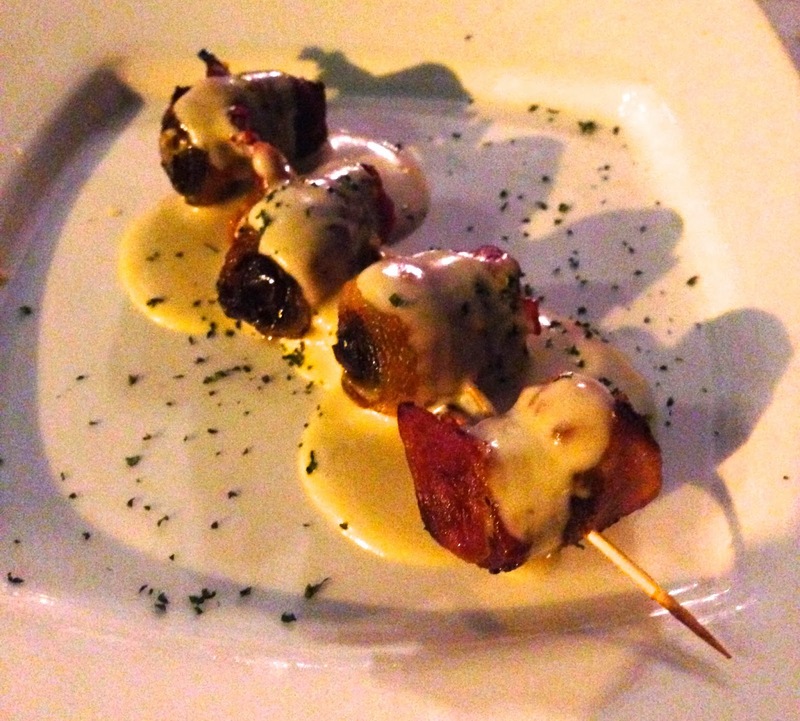 So, usually bacon wrapped dates are pretty much a home run, but unfortunately these were not my favorite. However, it was because they were stuffed with blue cheese. So if you’re a fan of blue cheese you might like these. Another ‘ok’ dish was the grilled pork with blue cheese sauce. I can definitely appreciate the tender pork but there are better dishes to order here. Although it had a blue cheese sauce on it, it wasn’t very strong so it didn’t overwhelm the palate. Xixon’s menu is very extensive, so you can frequent this restaurant many times and still discover other dishes. 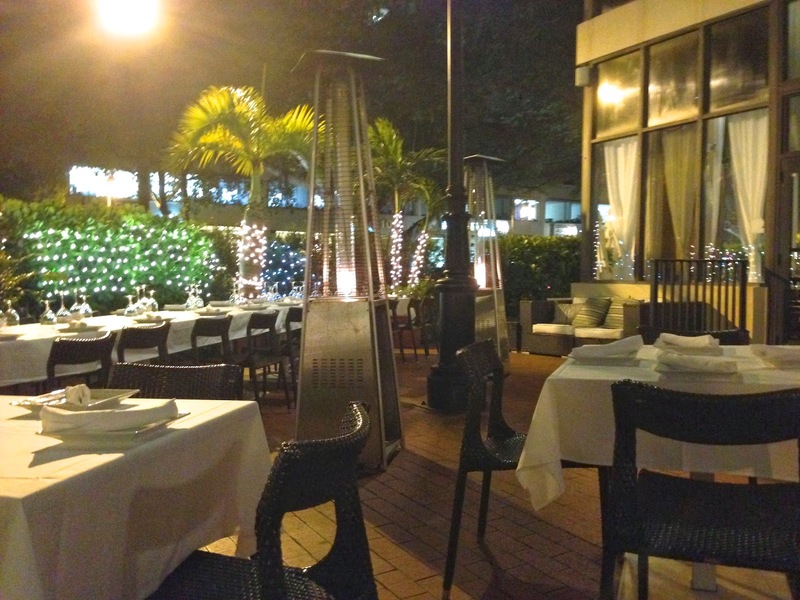 I would definitely recommend a visit to Xixon for authentic tapas and a nice ambiance!